The Brick Castle: LEGO Mixels Series 6 - Gurrgle, Forx and Snax! 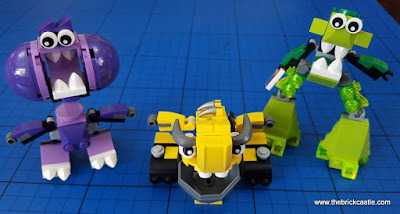 LEGO Mixels Series 6 - Gurrgle, Forx and Snax! 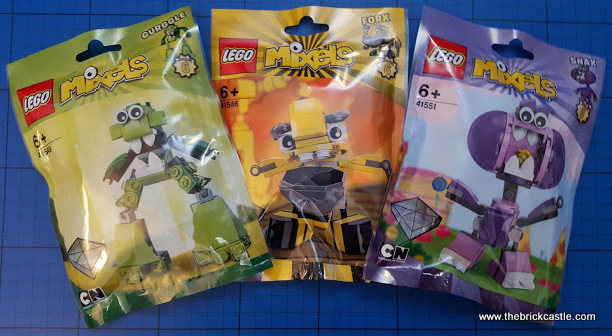 At the beginning of October LEGO released their 6th series of Mixels. I love Mixels because they're an entire character in a bag, with loads of special and rare and interesting parts, and they cost only £3 each! REAL pocket money prices. 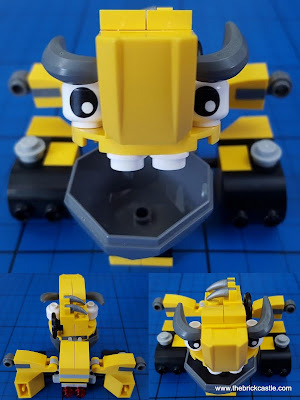 Mixels are also great for treats, party bags and stockingfillers. 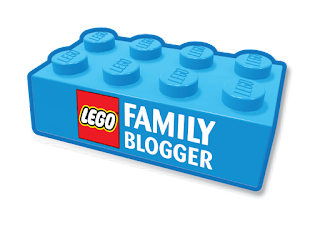 Suitable for around age 6+, they're excellent value for the number of bricks and other elements included in the pack, and will fire any child's creativity because they're expected to take them apart and make their own creations. We've been sent 3 Mixels to review - Gurggle, Forx and Snax. 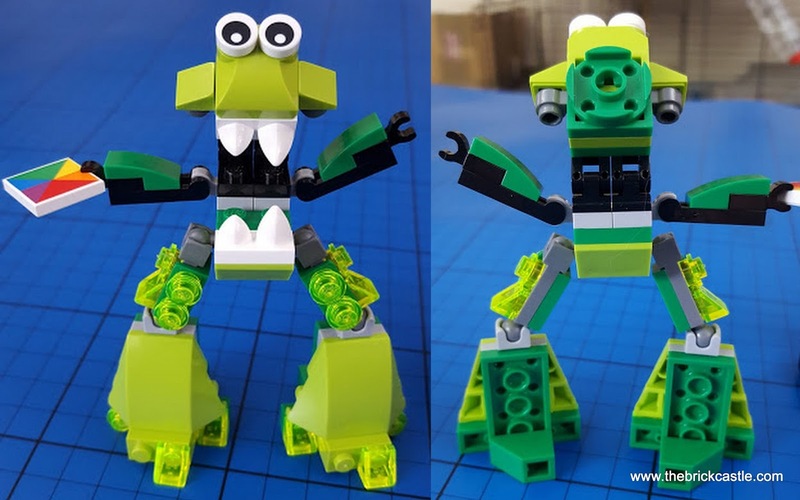 Gurggle (LEGO set 41549) is from the Glorp Corp tribe and is a slime covered leaping Mixel. 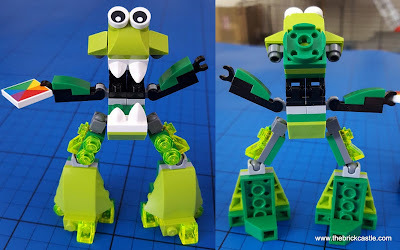 His legs are really cool because they bend really well and help younger builders understand how simple jointed limbs can be made, and useful they are for poseability. Forx (LEGO set 41546) is a member of the Weldos tribe and has a great face with a huge bucket mouth and horns. He has tiny t-rex style arms and moves on legs which my children have decided should be turned sideways to be caterpillar tracks. 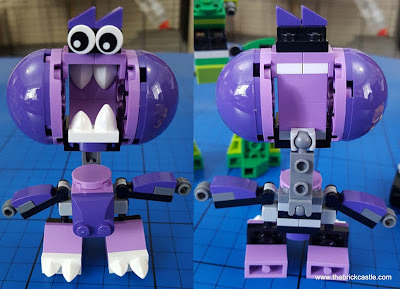 Snax (LEGO set 41551) is a member of the Munchos tribe. Clearly his special skill is eating his way out of trouble. He has huge hamster cheeks and a really poseable neck which means his head can launch forward - as you would expect from a Mixel who eats everything. As an added bonus we found a 'Mixel Cubit' in the pack with Gurggle. Anyone who's ever watched Mixels on TV knows that if 2 Mixels holding a Cubit meet, they can touch them together and 'mix it up'. 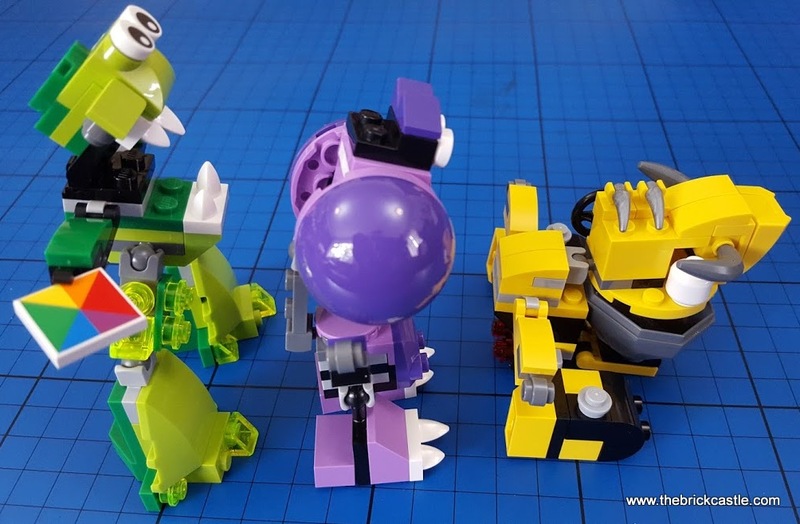 Series 6 Mixels have lots of ball joints included and some nice details to the characters which add a lot of build value and personality. 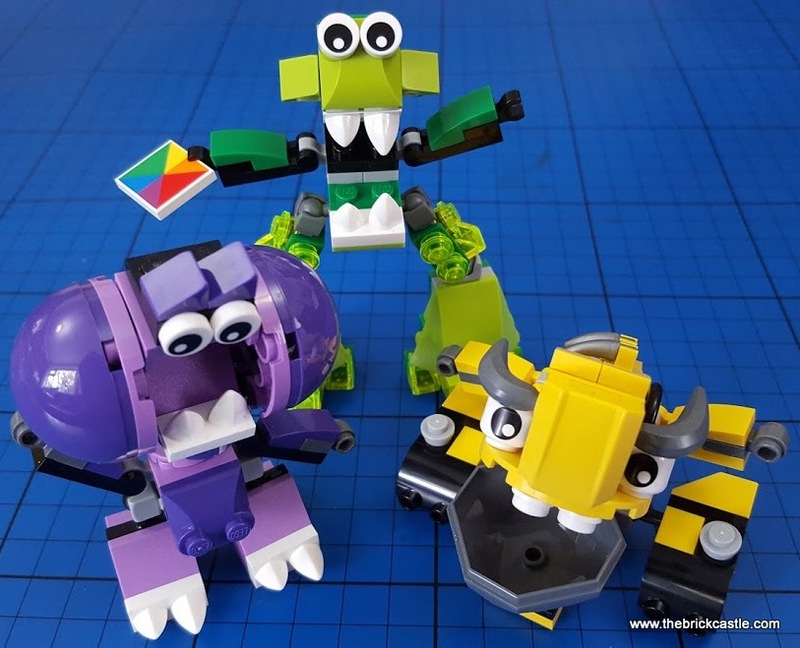 They're always going to be popular I think because they give you the tools to create a huge variety of creatures and expand the range of your LEGO collection and your LEGO world. 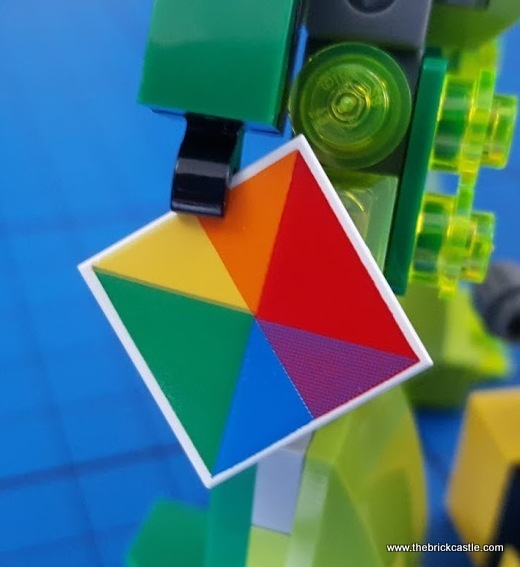 LEGO Mixels cost £3 each and are available in a host of places including LEGO.com online. There are loads of different tribes and models. The 3 Mixels in each tribe can join together to form one big Mixel, and you can find loads more design ideas and information on the LEGO Mixels pages of the LEGO website. 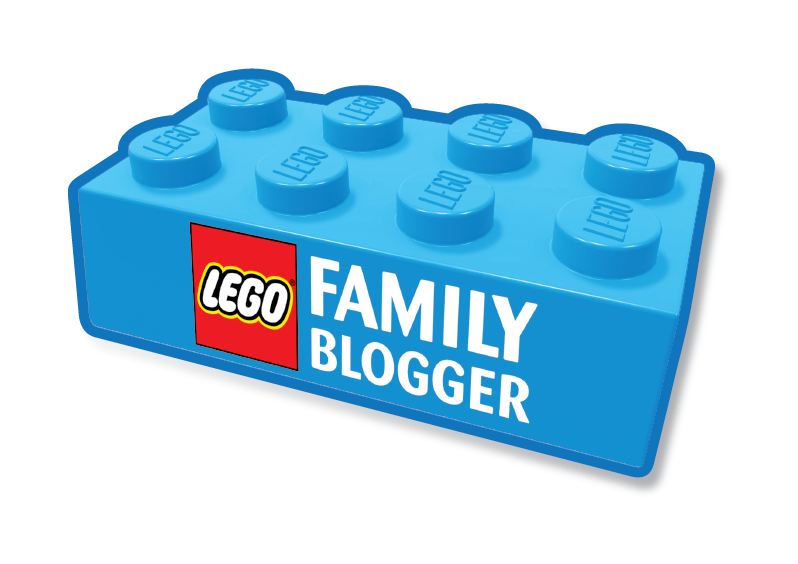 The product was provided by LEGO GmbH without any obligation in regards to the content of the review. These look great fun little sets and an excellent price for stocking fillers this Xmas! They're perfect Stockingfillers because it's an entire thing in one small bag, and they aren't a daft price! Love these fun set. They are great for Christmas filler or party bag. Brilliant looking stocking fillers - yep I am talking Christmas already! It's tragic isn't it, but we do have to spread it out or face a fortnight's crazy rush later on! Dora and Friends DVD review and giveaway. University Fees - How Much?